When I was practicing to appear on Food Network Chopped Grill Masters, I had to learn how to prepare an entire dish consisting of cooked meat(s), sides, and sauce within a 30-minute cooking window. Since I'm not a classically trained chef, I needed simple recipes that I could execute on the show. I know how to prepare meat and sides but creating French-style sauces and wine pairings was not my forte. When it comes to sauce, I can whip up barbecue sauces but what if wine showed up in the mystery ingredient basket on the show? No worries as I know many chefs who are much better at making wine sauces than me. My chef buddy and SYD alumni Kenny Tran, an engineer by trade, quit his job and opened one of the hottest barbecue restaurants in Orange County called The Smoking Rib. Kenny helped me with my predicament and after some experimentation at his restaurant, he showed me a simple sauce using only wine and butter. 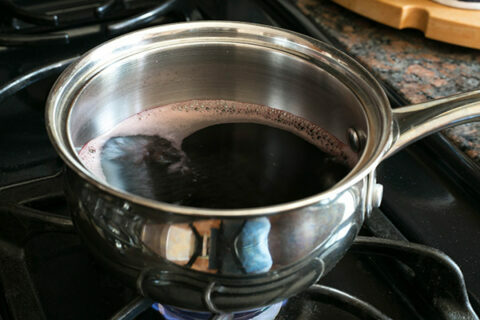 You boil down the wine to a syrup and add butter to thicken and emulsify the sauce and season with salt and pepper. 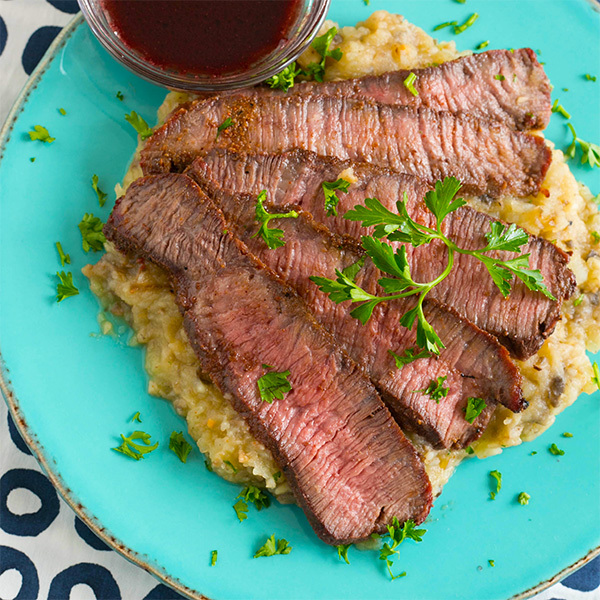 Simple yet super delicious and it paired superbly with beef. When my sponsors Snake River Farms sent me some Wagyu Flat Iron Steaks to shoot a KTLA5 morning show segment, I had some extra pieces of these $95 beauties which I ran out of time to cook on camera as I had several other meats on the grill. 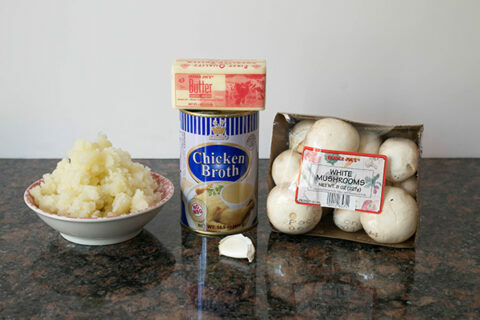 Since it was a busy weekday night when I cooked this recipe, I whipped up a semi-homemade mushroom mashed potatoes side to go with it. Once sauce and side is made, start cooking the steak. 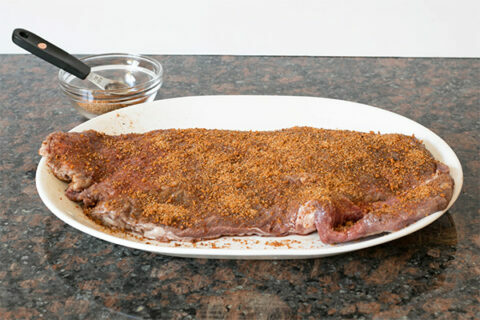 Place steak into 275F pit on the indirect zone away from the fire. 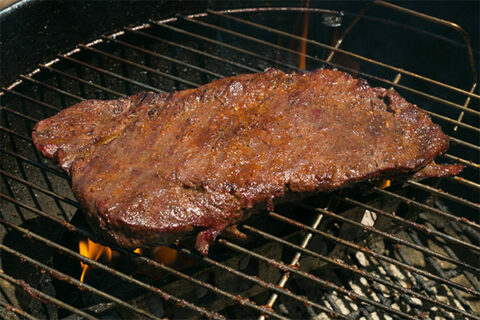 Add some wood chunks to get some smoke flavor (I used pecan chunks).